Bria Blackshear is first year Master of Arts Management candidate at Carnegie Mellon University (Class of 2020). As a musician, Bria began studying the viola at eight years old, and has developed an extensive background in classical music performance. She received her Bachelor of Music degree in Viola Performance from Temple University, and has performed at a multitude of internationally recognized venues and music festivals over the past decade. Professionally, Bria has held job and internship positions at The Chamber Orchestra of Philadelphia and ArCoNet (The Arts & Community Network). She hopes to integrate her passion and knowledge of classical music into her current academic studies and future career endeavors as an arts manager. 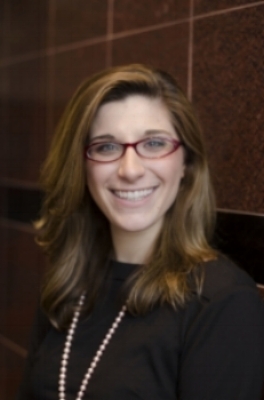 Lauren Cornwell is a second year Master of Arts Management student at Carnegie Mellon University. New to AMT-Lab, Lauren is thrilled to begin exploring the current and developing intersections between art and technology. Lauren received her Bachelor of Music in Voice Performance from Bowling Green State University. Professionally, she worked within the performing arts for a youth theatre company. Her previous experiences, coupled with her love of opera, led her to pursue a career in arts management. In her spare time Lauren can usually be found cozied up with her Kindle or binging true crime podcasts and documentaries. Carla is an Arts Management exchange student from the University of Bologna. Born in Bucharest, Romania, she has a Bachelor of Science degree in Management from Cass Business School in London, and also studied History of Art part-time at the University of Oxford. She has worked in digital marketing for cabaret, burlesque and theatre companies, and has recently presented at the Arts Management Student Conference in Hamburg on the topic of integrating VR/AR and artificial intelligence in arts management practices. Jiashun is a first year Master of Arts Management student at Carnegie Mellon University and completed her undergraduate degree in English major at Xianda College of Economics and Humanities, Shanghai International Studies University. Through working with several multimedia artists and interning at the Shanghai Museum of Contemporary Art, Jiashun discovered beauty in the fusion of art and tech. She is especially interested in non-traditional art that warps and flips typical ideas of aesthetic beauty. These tortured elements represent a unique facet of beauty to her. Jiashun looks forward to exploring the complex entanglements between the fields of art and technology. Francesca Forno was born and raised in Genova, Italy. Ex member of the Italian National Fencing Team, after graduating top of her class in Foreign Languages and Literatures at the University of Trieste, she decided to put aside her athletic career to focus on the academic one.She then moved to Bologna, where she completed a Second Level Master in Communication, Marketing and Made in Italy, and started a Master Degree in Innovation and Organization of Culture and the Arts, focusing her attention on the enogastronomic culture. Over recent years, while living in various Italian and European cities, Francesca wrote for numerous online and paper edition newspapers, and worked for the Museo d’Arte Contemporanea Villa Croce(Genova), and for the Italian art gallery Guidi & Schoen (Genova). At present, she is a full-time student at Carnegie Mellon University –Heinz College, a fencing coach, and a referee and sportscaster of the Italian Fencing Federation; she also collaborates with Pianeta Scherma, an online magazine devoted to fencing. Jana is pursuing a joint Masters degree in the Arts Management program in Heinz College at Carnegie Mellon University, and Innovation and Organization in Culture and the Arts at the University of Bologna (December, 2018). She received her BFA in Drama from NYU in 2011 and worked for five years in theatre production and project management. Most recently, her paper “Digital Tools and How We Use Them: The Destruction and Reconstruction of Tangible Cultural Heritage in Syria” was presented and published at Museums and the Web conference in Vancouver in April of 2018. 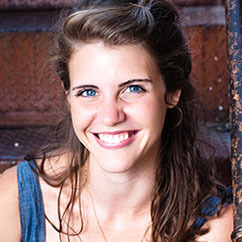 Rebekah Geiselman is second year Master of Arts Management student at Carnegie Mellon University, Heinz College. Most recently Rebekah worked as an Orchestra Manager with the Aspen Conducting Academy at the Aspen Music Festival and School. 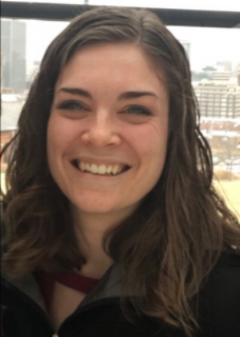 Last year, she worked at the Pittsburgh Symphony Orchestra as an intern in the Learning & Community Engagement department where she assists with the organization, implementation, and evaluation portions of the onsite schooltime concerts, children’s concert series, and outreach community engagement performances.Before coming to Carnegie Mellon, Rebekah worked as an Associate Artist Manager with Uzan International Artists, a full-service boutique management company in Manhattan representing a range of talent including opera singers, conductors, directors, and film, television, and theater actors.Rebekah received her Bachelor of Music in Flute Performance and Music Business from The Crane School of Music at SUNY Potsdam. 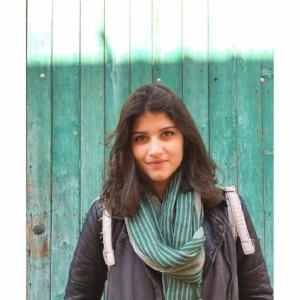 Sofiko Gvilava is a graduate exchange student to the Master of Arts Management program from Bologna University, Italy. Her major areas of interest are innovation in the arts and creative industries, PR, cultural diplomacy and video game industry. Sofiko attained a BA degree in arts and culture studies at Erasmus University Rotterdam, the Netherlands. Her working experience includes, but is not limited to, artists liaison position at TDME (Tokyo Dance Music Event), PR intern at MMOMA (Moscow Museum of Modern Art), organizer and writer for WILDe theater and researcher for Witte de With Center for Contemporary Art (Rotterdam). Emily is a second year Master of Arts Management candidate at Carnegie Mellon University’s Heinz College. Her background is in graphic design and printmaking, and she received a BS in Mass Communication from Boston University. After graduation, she managed an Urban Outfitters store and worked as a marketing consultant. This past summer, she conducted a summative evaluation for the exhibit, “We Are Nature,” at Carnegie Museum of Natural History. Her interests lie in programming and audience engagement, and how technology and design can advance these efforts of cultural institutions. Lydia Killian is a first year Master of Arts Management student at Carnegie Mellon University. She completed a dual undergraduate degree in Piano Performance and International Affairs at Florida State University. Post-graduation Lydia worked as a Peace Corps education volunteer in Thailand where her primary project focused on teaching English and conducting teacher trainings. During her Peace Corps service Lydia also co-managed Thai Youth Theater, a festival to encourage English language learning through theater activities and performance. Since then she has worked as a freelance pianist, collaborating with other musicians and teaching piano. In the future, Lydia hopes to use her degree in arts management to connect communities to arts programing, focusing on community engagement and arts education. Elizabeth Long(B.A., M.A. Art History) is an art historian and arts advocate in the Pittsburgh area. Sheis a Master of Arts Management studentat Carnegie Mellon University and holds degrees in art history from the University of Evansville (B.A. 2016) and the University of Kansas (M.A. 2018). Elizabeth has held education and programming positions at several Midwestern organizations, including Mid-America Arts Alliance, the Fred Jones Jr. Museum of Art, the Reitz Home Museum, and the Children’s Museum of Evansville. Additionally, she served as aGraduate Teaching Assistant and Instructor of Record at the University of Kansas. An active researcher, Elizabeth has studied a wide rangeof art historical topics, including: Edgar Degas’s Portrait de Mlle E[ugénie] F[iocre]...; à propos du ballet de“La Source,” Gutai’s The International Sky Festival, and a set of 14th-Century tapestries after Hieronymus Bosch. Stepping into arts management, Elizabeth is excited to explore development and policy within the arts and the intersection of technology and the arts. 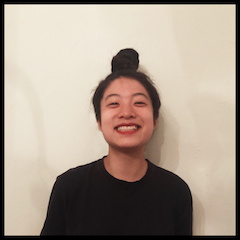 Megan Ma is a first-year candidate in the Master of Arts Management program at Carnegie Mellon University’s Heinz College. She received her BA in Art History with a minor in Business Administration from Rutgers University in 2018. Megan has conducted several art history research projects including “Rembrandt’s Biblical Paintings and Group Portraits with His Emphasis on Figures: His Changes in the Utilization of Brushstrokes, Palette, and Light,” and “Goya’s Path to His‘Black Paintings’: The Influence of the Post-War Trauma and Illness on the Subject Matters of Goya’s Artworks.” Post-graduation Megan interned in the Collection Department of the National Art Museum of China and worked as an art history lecturer at JiXianTang Education, an educational organization in Beijing. Born and raised in China, Megan has an international perspective on the arts management industry. Her primary interest is in exploring the connections between the art industries of the US and China, and in understanding how the disciplines and technologies utilized in arts management sectors of the two countries speak to one another. Lucy Mattout is a second year Master of Arts Management student at Carnegie Mellon University with a passion for theater arts. In her spare time, she loves playing racquetball, composing songs, playing the guitar, and spending time with family and friends. Lucy completed her undergraduate degree at Rutgers University with a double-major in Theater and Psychology. Post-graduation Lucy served in a variety of arts management positions including fundraising, arts education, as a behavioral therapist for individuals with special needs, and as a Director of Theater Performances. Lucy hopes to one day start a theater company that is fully inclusive to people of disabilities. Stephen Michaels is a visual artist and writer studying at the Carnegie Mellon University School of Art. Through a mixed-media artistic approach, writing has centered as a cornerstone of his practice. His work has investigated the power of mythological narratives in the creation of contemporary images, as well as the psychological constructs which allow artists to synthesize images out of archetypal narratives. He was born and raised in New York City. Ruby (Robina) Saha is a second-year Master of Arts Management student at Carnegie Mellon University interested in data-driven marketing, user experience design, and cultural policy. Born and raised in Southeast Asia, Ruby has lived in 5 countries and speaks 4 languages. She earned a BA in Art History from Oberlin College, where she focused on the history and culture of Islamic societies. After graduating, Ruby received a two-year Shansi Fellowship to teach at Universitas Gadjah Mada, Indonesia’s top national university. In the professional arts sphere, Ruby worked for a textile preservation gallery in Bali where she wrote and designed collection catalogs. A passionate advocate for all forms of art, last year Ruby organized and curated a multimedia arts exhibition at Future Tenant gallery and worked in the External Relations department at Washington Performing Arts in Washington D.C. Between school and work, Ruby enjoys cooking, reading, and listening to podcasts. Lauren Saunders is an arts administrator currently pursuing her Master in Arts Management at Carnegie Mellon University. Prior to graduate school, Lauren worked as an Assistant Program Manager for the Greater Baltimore Cultural Alliance, where she focused on programming that addressed explicit and implicit bias in cultural organizations. Additionally, she has worked for Manhattan Theatre Club, Maryland Humanities, and Theatre Communications Group. A passionate theatre maker, Lauren was an Ensemble Member with Single Carrot Theatre for five years –devising, directing, and performing in new plays. Beyond her love for the arts, Lauren enjoys hiking, baking, eating pizza, and spending time with her dog, August. Christine is a second-year Master of Arts Management student at Carnegie Mellon University’s Heinz College. Originally from the Bay Area California, she grew up playing violin, French horn, and piano. Christine holds a BA in English and a BMus in Violin Performance from the University of Oregon. While working at summer festivals like Aspen Music Festival and the National Repertory Orchestra she was excited to be part of the team making artistic feats unfold in a matter of weeks. With an eye to audience engagement, interdisciplinary collaboration, and accessibility, Christine is curious as to how technology can inform performing arts organizations. Michaela is a first-year Master of Arts Management student at Carnegie Mellon University, Heinz College. She graduated from Northwestern University with a double major in Violin Performance and Music Education. Michaela spent the past three years working in Cleveland teaching music to a variety of audiences. After her experiences teaching in the public and charter school systems, her interest for introducing the arts to new audiences became a fixation. Her intention is to connect new audiences with the arts, and she is particularly interested in how technology is used effectively to strengthen audience engagement. Jenny Wallisch is a second year Master of Arts Management student at Carnegie Mellon University, Heinz College. Last year, Jenny interned at the Pittsburgh Cultural Trust in Children’s Theatre Programming, and currently she assists on their outreach staff at the Children’s Theatre and Bridge Theatre performances. Recently she also worked as a Company Management Apprentice at the Lake Dillon Theatre in Silverthorne, Colorado. Prior to attending Carnegie Mellon, Jenny received her BA in Theatre Arts from Gettysburg College and held administration and theatre operations internships at Quantum Theatre, the Pittsburgh Cultural Trust, and Central City Opera. Daniel Fonner is currently the creator and lead developer of ReMasterpieces, a project that recreates art stolen during World War II using computer vision and machine learning with the goal of returning the pieces to the original owners. He started the project as a Fulbright Postgraduate Scholar at the University of Warwick (UK) in 2017. He holds an MA in International Cultural Policy and Management ('18) from Warwick as well as a Master of Arts Management ('16) degree from Carnegie Mellon University. Daniel served as a research contributor and social media coordinator for AMTLab while a student at Carnegie Mellon. Beyond his interest in World War II art history and technology, Daniel loves to spend time with his amazing 6-month-old daughter Sydney, his wife Staci, and their sixteen-year-old cat, Kitty. Daniel can be contacted at info@ReMasterpieces.org.